A typical example here are photos with strangers in them. If you’re lucky, you can get rid of them via retouching or multi-exposures. But if they take up too much of the picture, it’s more practical to blur the faces. Open the photo in the Zoner Photo Studio X Editor. 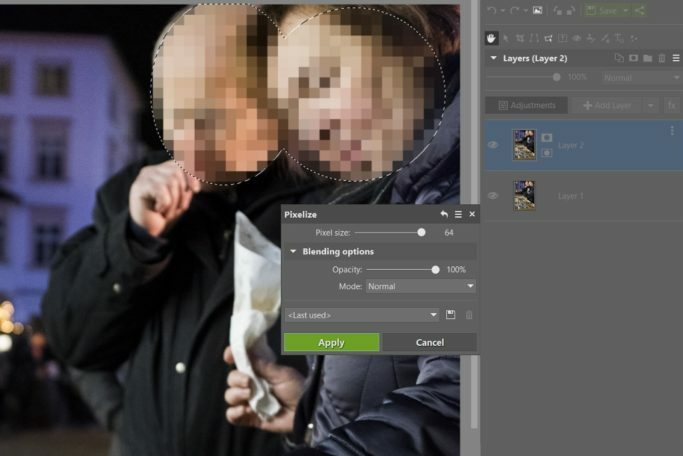 Use the Selection Tools to mark the face that you want to blur. Click the Adjustments button, and then in the Adjust group, use Blur. Then just set the Type and the Strength for the blurring. Don’t forget to always make the blurring strong enough, so that you’ve made sure that the person in question really won’t be recognizable. 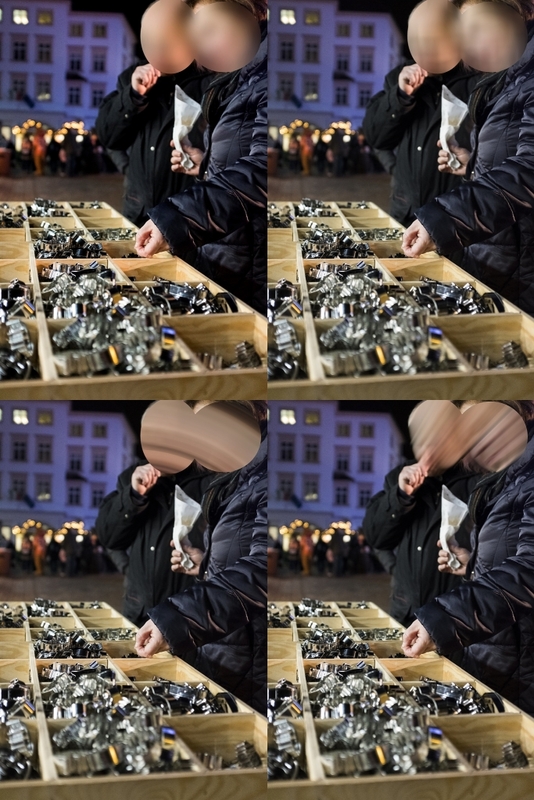 Choose one of these Blurring Types to blur a face: Gaussian, Overall, Rotational, or Zoom. The other types don’t have as strong of an effect. Besides blurring faces, you can also pixelate them. This is one of the most popular effects for hiding faces. 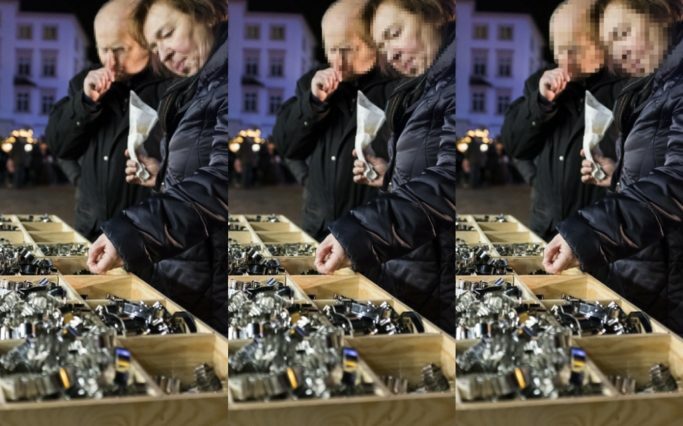 You apply it in a similar way as you do for blurring. That is, once again you open the photo in the Editor and mark the face using the selection tools. Then here once again you click the Adjustments button. But this time head down to the Effects group, where you’ll find the Pixelize option. Then you just need to set the pixel size you want. 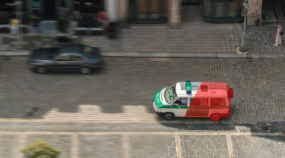 Keep in mind, meanwhile, that the pixels need to be large enough for the job. Otherwise the people will still be recognizable. This time we deformed the people’s faces using pixelization. In the first case we used a pixel width of just 24. The people are still recognizable. And even with a width of 40, their features are still visible. So in the end we set the width to the maximum—64. Besides pixelization, you can also use one of the other Editor effects—Waves. That hides faces effectively as well. Another classic edit here is to add a black bar over a person’s eyes. You’ll see this approach for example in certain newspaper and magazine photos. This effect, too, can be added easily in Zoner Photo Studio. You have several options available here. In the Drawing Tools, use the Brush (B) and set its color to black. Then give it a suitable radius and maximum opacity and paint over the desired spot. But keep in mind that the bar’s outline will be rounded and the result may not be as precise as for the other options. A black bar over a person’s eyes, drawn using only a black Brush. The bar’s outline doesn’t look as good as it does when you make use of selections. Also, you have to be careful not to go astray with the brush. Use the selection tools to mark the area to cover and then draw over the area with a black brush. That way, the color will only go into the area you selected. That ensures that the bar’s outline will be precise. But if someone in the picture has tilted their head, you won’t be able to make do with just a Rectangular Selection (M), and you’ll have to opt for the Polygonal Lasso (N). So instead of using rectangular bars, you may be covering someone’s eyes with some other four-sided shape. A bar produced by making a selection and then drawing into the selection with a black brush. If you look closely, you can see that the bar on the woman’s face is wider than the bar for the man, and the sides are not perpendicular; it looks a bit sloppy. So that’s why we’ll suggest a third option, the most precise one. Layers. Just click on the arrow by the Add Layer button and then use Place Shape. The program then places a rectangle in the picture, and you can set its dimensions and position using the anchor points on the screen. Then just give it a black fill and rotate it as needed. To rotate it, just click outside of the area with the rectangle and then drag the cursor to any side. The rectangle will keep rotating for as long as you hold down the mouse. A bar produced using layers looks the most professional. Here both of the bars are rectangular in shape and they have equal widths and lengths. When you need to hide a license plate in a photo, you’re looking at roughly the same sets of steps as above. You just use white instead of black. Here too it’s better to work with selections. 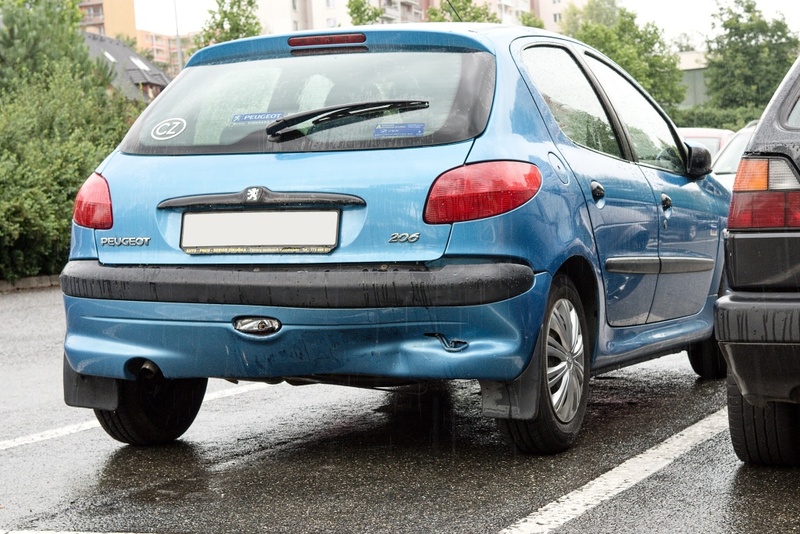 That way you won’t have to worry about “drawing outside the lines” and creating ugly smudges on other parts of the car. The best tool to use for selecting a license plate is the Magnetic Lasso (A), since it will snap to the plate’s edges very well. That ensures that the whole area of the plate will have the same color. Then you just need to color it in with the Brush. To censor a license plate, use a white brush. For a less noticeable edit, you can use the retouching tools. But a simpler way to get almost the same effect is to set the brush color using the eyedropper. 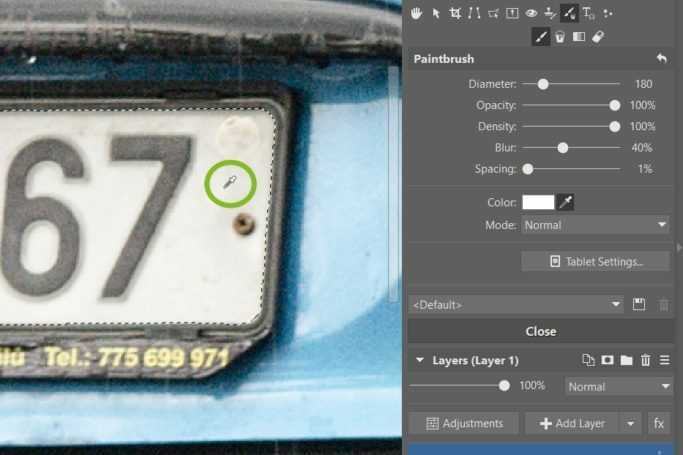 Just click on a white or light area inside the license plate, and the Brush will take on that color. Then just color in the plate with the Brush. The retouching won’t be as “shiny” and distracting this way. You’ll find the eyedropper in the Brush tool by the Color button. Just click it or press Ctrl, and then click on a spot in the picture that has the color you want. The eyedropper will pick up the color from that spot and apply it to the brush. Here we’ve set the brush color using the eyedropper. That’s given the plate surface a more natural color so it’s not as distracting. Also, you don’t have to edit just photos this way. You can use the same simple steps for things like hiding sensitive data in scanned documents. 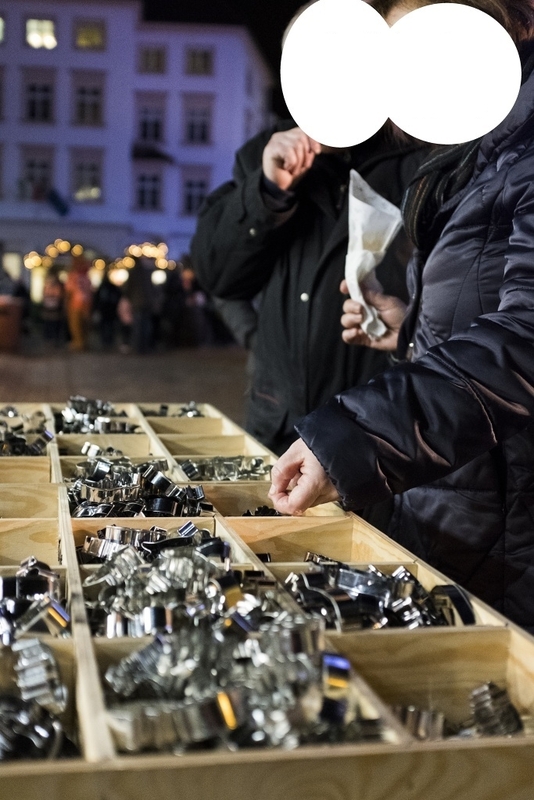 You can also censor data in pictures more creatively, however. Try for example covering it with another picture. It’s all up to you how playfully or seriously you want to approach this. You might use anything from an animated image to a neutral background to a screenshot of a document. You’ll definitely think of other ways to use the tools in ZPS as well. Once again it’s up to you what suits you best. But keep in mind that you should always save your edited photo under a new name, to keep from losing the original. Also, don’t forget that you should protect your photos before uploading them to web albums as well. For example when uploading photos to Zonerama, you can password-protect your albums. Or you can outright set them as private, and only send the links for them to selected people. That way you can be sure that nobody but the right people can reach your photos. 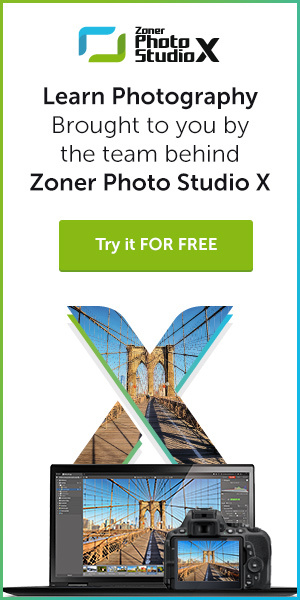 Download Zoner Photo Studio X, try it free for 30 days, and see for yourself how it can help you to hide sensitive information (and do much more as well).